(Natural News) A groundbreaking new study published by researchers from The Scripps Research Institute (TSRI) in Florida has determined that the way influenza vaccines have been made practically since their inception is fundamentally flawed, and that the end result renders flu jabs largely ineffective. To keep up with the latest news on vaccines as we approach so-called “flu season,” be sure to visit and bookmark Influenza.news. For the study, Wu and his colleagues tested the progression of the H3N2 flu virus as it incubated in chicken eggs. H3N2, after all, is one of several influenza subtypes that has become more prevalent and virulent, which is why it typically ends up in flu vaccines year after year. Using a high-resolution imaging technique known as X-ray crystallography to take a closer look at H3N2, the team found that a key protein in the virus changes so much during chicken egg incubation that it no longer functions as a match in humans. In fact, the end result is that bird cells rather than human cells end up becoming a better fit. This mutation is described in the study as L194P, which occurs in H3N2’s hemagglutinin glycoprotein, also known as HA. It is said to completely disrupt the region of the protein that the human immune system can recognize, rendering it completely ineffective in all practical terms. 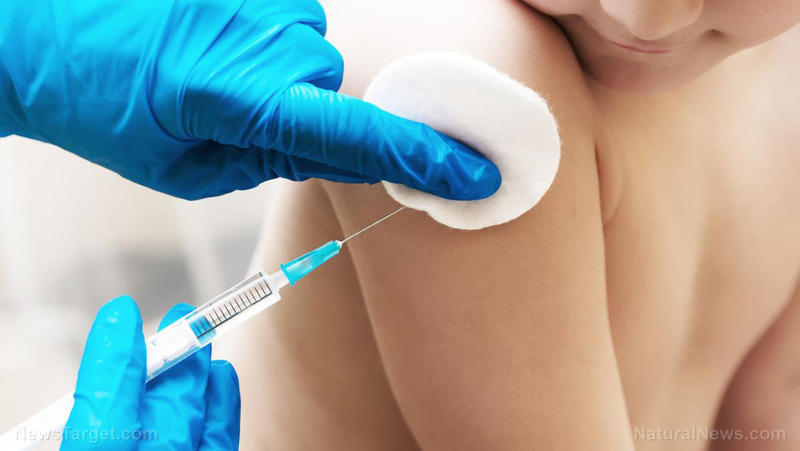 In order for a flu vaccine (or any other vaccine, for that matter) to be considered effective, it has to actively trigger an immune response inside the body that results in the creation of antibodies to fight off the real thing. But the H3N2 mutation that results from conventional incubation procedures during vaccine production leave the virus impotent, so to speak. “Any influenza viruses produced in eggs have to adapt to growing in that environment and hence generate mutations to grow better,” admitted Ian Wilson, a Hansen Professor of Structural Biology at TSRI, and the study’s lead senior author. “There’s a huge need for flu vaccine research,” Wu is quoted as saying. The ineffectiveness of flu vaccines is nothing new, of course. Natural News has been sounding the alarm about flu vaccine fraud for years, noting further that people take a huge risk every time they agree to have their bodies injected with flu shots, which besides ineffective viruses often contain mercury (Thimerosal), aluminum, and various other toxic adjuvant additives.